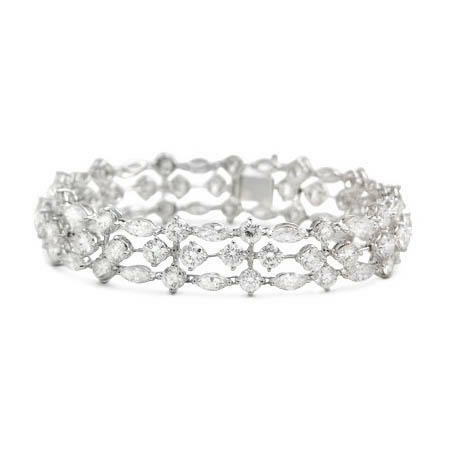 This Italian designed 18k white gold bracelet scintillates with 26 marquise cut and 52 round brilliant cut white diamonds of F color, VS2 clarity and excellent cut brilliance weighing 19.48 carats total. Dazzling marquise and round cut diamonds are expertly prong set in 18k white gold for a free flowing design full of movement and life! The bracelet measures approximately 6.25 inches in length.